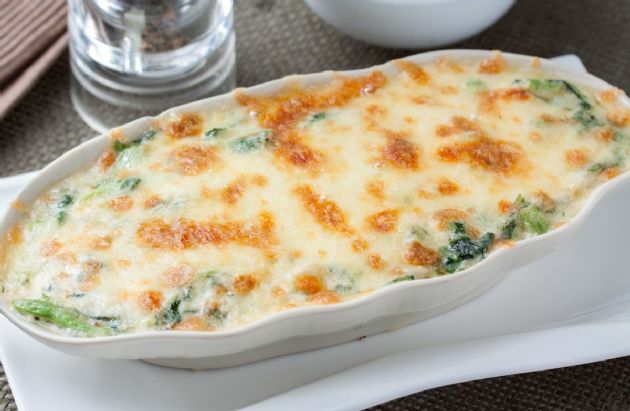 Spinach, chicken and cheese combine for a one-dish dinner. Spinach, chicken and cheese combine for a one-dish dinner. Steam spinach, then drain any excess water. Combine sour cream, mayo, cheese, and garlic powder. Pour half into a baking dish coated with cooking spray. Top with the chicken and spinach, then the remaining cheese mixture.